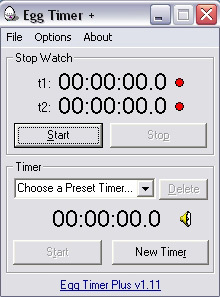 Egg Timer Plus is a quick, easy to use timer. It has dual, independent stopwatch timers. You have the choice to save preset countdown timers for quick access in the future.